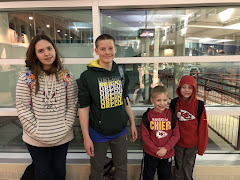 A Borderline Mom: #MoneySaving Post: Forget layaway for Christmas, use these ideas instead! 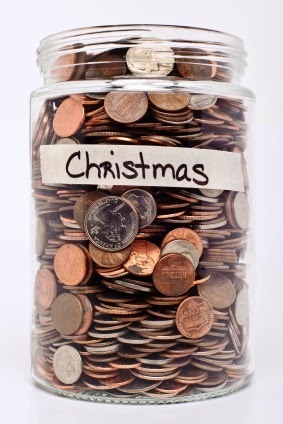 #MoneySaving Post: Forget layaway for Christmas, use these ideas instead! Why didn't I think of saving spare change?? I've tried using layaway twice in my life. I didn't like it. The last time was two years ago with Walmart. I know Kmart does layaway also, but I'm not positive the other major retailers that do. I found this list, but I don't know how current it is. I know that all of these tips will apply to using layaway at Walmart, but some of them should work for the other place, if not all. Why use layaway? I guess the only good part in my mind is that you don't have to worry about hiding the gifts, cause the store is basically doing that for you. The whole point of layaway is based on the (mostly accurate) assumption that people can't afford to pay for all their gifts at once. So, layaway gives them the chance to make payments over a certain amount of time, with the final payment being when you pick up the merchandise. However... I think it's better to buy a couple to few things here and there as you have the money, which eliminates taking in the payments for your layaway. This also gives you the chance to decide whether you can afford more or less than what you would have spent doing a bulk layaway. Start with a list. I like to start thinking ahead to holiday shopping towards the end of August in order to get a jump start. What I like to do is start a list where I write down the name of everyone I have to buy gifts for and start listing ideas for them. As the time goes by, your list will transform quite a bit with things being added, crossed off or purchased. I actually like to keep a running cart on Amazon and Walmart so that it helps me keep track of the things I was thinking of getting and also helps me have the prices right there to compare when I'm ready to buy. Organize your list. I'm a proponent of fairness when it comes to gifting. As kids are younger, they don't so much realize the value of things, but they can count. So I like to do one "big" gift from Santa and then a set number of gifts from us. I set the number of gifts and start to make purchases here and there to meet the "quota." If I meet my quota and run across something here or there, I either add one more for everyone or save it for birthdays. (Three of my kids have birthdays within 3 weeks of Christmas.) As the kids get older and start to understand the cost of things, I intend to spend approximately the same on each, so no one feels like I'm playing favorites or that it isn't fair. Cause, really it isn't. Don't forget when making your lists to include the other people you might have to gift for such as nieces, nephews, parents, in-laws, etc. Spend reasonably. Let's be real. Ghetto fabulousness is sooooooo disgusting. If you are unfamiliar with the term, it's one that's been around for decades. The theory is that people can't pay their bills, but will buy big screen TVs. They can't feed their kids on their own, but they carry a Gucci handbag. It happens with people more often than you'd think. Just because it's a holiday, doesn't mean you need to drop a couple thousand on your kids when the month before you were getting shut off notices. Kids don't need that much, and if your kids are the kind that will throw a fit if they don't get the $300 X-Box, you might want to rethink the values you are teaching them. Just saying. Comparing prices. Okay, so you're ready to buy. You've checked your list and you're ready to commit to some of the items that you had already intended to get. Now to find the best price. Here's the three websites that are always my go-to when it comes to finding the best prices: eBay, Amazon, and Walmart.com. Let me tell you some things I've found. There are A LOT of things that are actually cheaper on Walmart.com than in the stores! For instance, YESTERDAY I had to go to Walmart and I thought that since I was there I'd knock a couple things off my list. I went to my shopping cart on my phone to compare prices and out of the three things I found in the store, ALL three were cheaper online! So, I didn't buy them. (Those dollars add up.) I compared the prices in my cart between Amazon and Walmart and everything had the exact same price except one thing: a play kitchen. It was $20 cheaper on Amazon! And of course I check eBay for everything before committing to those prices. Case in point, one of the best sellers expected for this year are LeapBands. They are selling for $39.99 in stores and online, but I ended up getting two brand new ones on ebay for $30 each. It's about persistence, people. It pays off. But what about shipping? You may be thinking that if I am buying stuff online, I end up paying more with shipping. But you would be wrong. Walmart.com has free shipping for orders over $50 and most items are free shipping if you do site to store. Amazon has free shipping for qualified items when your total is $30 or over. Otherwise, if you haven't done it before, you can sign up for a free trial of Amazon Prime. Members get free 2 day shipping on all items, no matter how much the purchase is. And of course, eBay items let you know the shipping when you bid. The LeapBands I mentioned were $30 total. That includes shipping. Other ways to save. I use Swagbucks. It's a website that you earn points from searching, buying things, signing up for things, etc. A lot of times you can just earn a few points here and there easily, without using your email and ending up with junk mail. You can earn points from watching a 2 minute commercial, etc. In the end, your points can add up to gift cards. I usually have no problem earning $5 Amazon or Walmart gift cards on a regular basis. I can apply those to any orders I make. Also, when I make a purchase on Walmart.com, I go to the site via Swagbucks and I get 2 points for every dollar I spend, which then gets me closer to another gift card! There are other ways, such as watching ads, online sales, Black Friday (which I loathe and never partake in) and don't forget Facebook or second hand stores! I know there are a lot of people out there that don't believe in using second hand items for gifts, but again, many kids don't really care. I frequent the buy/sell/trade pages on Facebook, as well as craigslist, and just recently I found a toy that I had in my online cart that was $30 and I got a like new one off Facebook for $5! Yay! Anything to add? Since I'm all about saving money, did I miss anything? Sometimes Target has things that are out of stock online at Walmart for a comparable price. So if you are having a hard time getting it elsewhere, check out Target. I think they have a free shipping for $50 and over free as well.